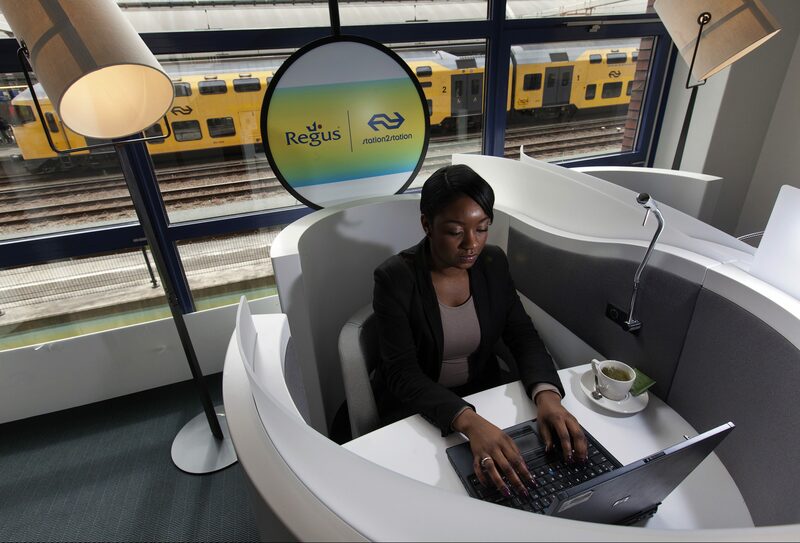 A woman works in the brand new Regus workspace at the railway station in Amersfoort May 11, 2012. Picture taken May 11. British office space company IWG said on April 15 it was selling its Japanese business to TKP for 320 million pounds. IWG said the Japanese unit generated EBITDA of 20.6 million pounds on revenue of 94.4 million pounds in 2018. It will continue to receive franchise payments from TKP. IWG shares rose nearly 22 percent to 336 pence by 0940 GMT on April 15.